At MedEdits, we can help you apply to osteopathic medical school via AACOMAS, the American Association of Colleges of Osteopathic Medicine Application Service. To purchase a package or service, please follow the steps below. Click on the BUY NOW button (below) to pay via PayPal or credit card. *If you do not hear from MedEdits promptly, please check your spam/junk folder or contact us. By submitting payment, you agree to our terms and conditions. After payment is submitted, we will send you a MedEdits Diagnostic Inventory questionnaire to complete and directions on how to proceed. Once you submit payment, we will contact you to schedule your one hour session. 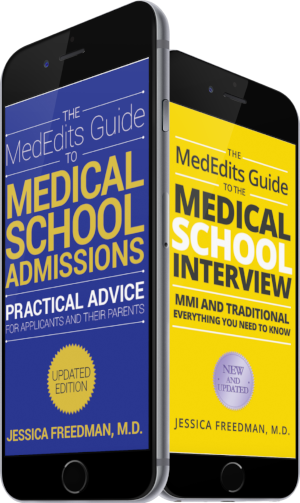 MedEdits will guide you through every step of the osteopathic medical school admissions process. 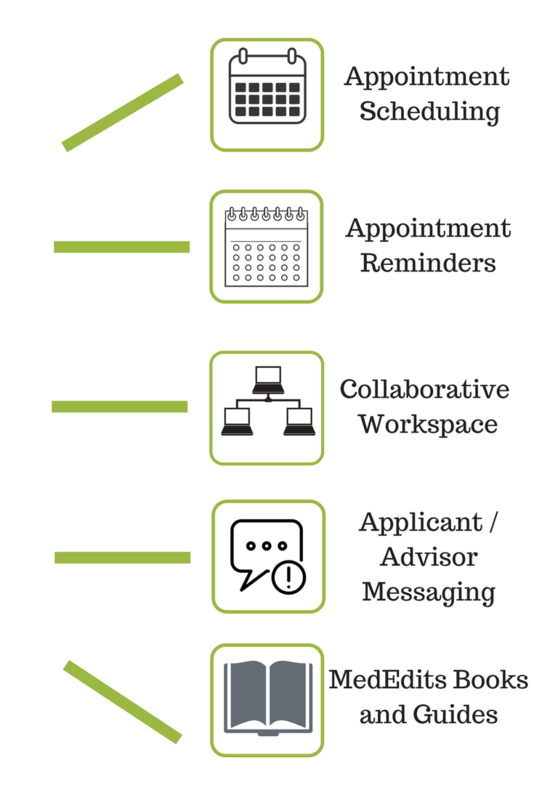 Advising via phone, Skype, and your personal student portal. Most commonly asked Osteopathic Medical School admissions questions. When does Osteopathic application season open for classes beginning in the Fall of 2019? When working with MedEdits, what are my chances of getting into osteopathic medical school? The vast majority of osteopathic medical school applicants who work with MedEdits are accepted to osteopathic medical schools. What types of students does MedEdits help? Some of our clients have pristine records, but, many have a candidacy flaw (or two) such as a less than ideal MCAT score, poor grades, or a circuitous path to medical school. Some MedEdits clients come to us knowing an osteopathic medical career is in the future and only apply to osteopathic medical schools. Is it easier to get into an osteopathic medical school? There are many factors that impact an applicant’s competitivenes. Please use the two links below to read the latest data on DO and MD applicants. Osteopathic: Osteopathic Medical College Information Book, click here. Allopathic: Medical School Admission Requirements, click here. Most programs (DO and MD) are four years. Most medical schools have two years of basic science courses and two years of clinical rotations. MD students take the United States Medical Licensing Exam, Parts I, II, and III. DO students take the COMLEX and also have the option to take the USMLE. Osteopathic students learn osteopathic manipulation therapies. Wiki: Osteopathic manipulation or osteopathic manipulative medicine is a core set of techniques of osteopathy and osteopathic medicine distinguishing these fields from the rest of medicine. Osteopathic students can apply to osteopathic residencies and/or allopathic residencies. Osteopathic students have the option to take the USMLE and/or the The Comprehensive Osteopathic Medical Licensing Examination of the United States (COMLEX-USA) exams. When can you start applying to medical school? Application season for osteopathic medical school opens in May. Be sure to visit MedEdits.com for an updated osteopathic application timeline. How long does it take to become a osteopathic physician? How many years is DO school? Most osteopathic (DO) programs are four years. What are Osteopathic Medical School requirements? Do you have a list of Osteopathic Medical Schools? Yes. The Data Reports on Osteopathic Medicine, 2017 is a good resource which provides a current list of schools. Click here to view. Where are the easiest DO schools to get into? There are many factors which may make an osteopathic medical school acceptance less competitive. One important statistic is accepted students’ average science GPA. Click here to view a current list of osteopthic medical schools and accepted students’ GPA. Do you know Osteopathic (D.O.) school's MCAT and GPA averages? At MedEdits, we attend many academic meetings and review the latest medical literature to advise our students. For individual Osteopathic Medical School MCAT and GPA data, please click here. Do you work with students applying to DO (Osteopathic) and MD (Allopathic) medical schools? We work with students applying to osteopathic medical schools, allopathic medical schools, or both. Some of the students we work with are borderline allopathic medical school candidates and apply to osteopathic medical schools as a viable and attractive option. 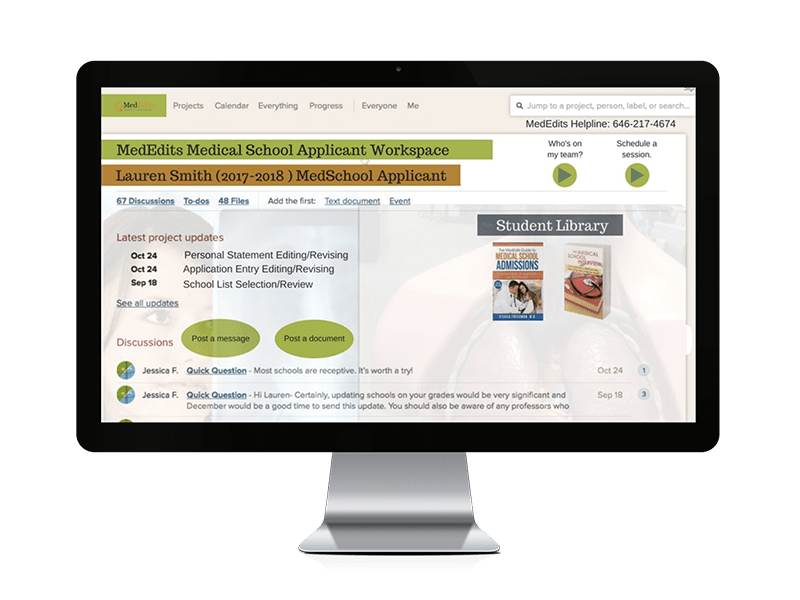 How can MedEdits help in applying to DO school? Regardless of the situation you are in, we can help smooth out the edges of your candidacy, turning your liabilities in to assets, so you shine. How do you become a Doctor of Osteopathic Medicine (D.O.)? Submit an American Association of Colleges of Osteopathic Medicine (AACOMAS) application. How successful are MedEdits applicants to Osteopathic Medical School? Our student’s success is unmatched! MedEdits clients have osteopathic medical admissions success that is unmatched. As former medical school admissions officers and medical school faculty who have also worked with students privately for more than a decade, students have access to our wisdom, knowledge and insight which gives them a distinct advantage in the osteopathic medical school admissions process. Do you know Osteopathic Medical Schools' acceptance rates? Do you have a list of Osteopathic Medical Schools near me? Click here to view a map and list of Osteopathic Medical Schools. Sign up for a FREE 15 minute Osteopathic Medical School advising session. MedEdits' Student Portal: Collaborative, Efficient, and Effective. 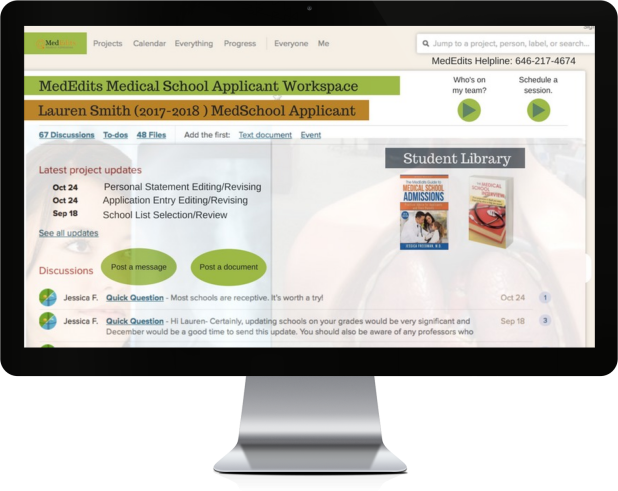 MedEdits’ Student Portal which guides students through advising process. 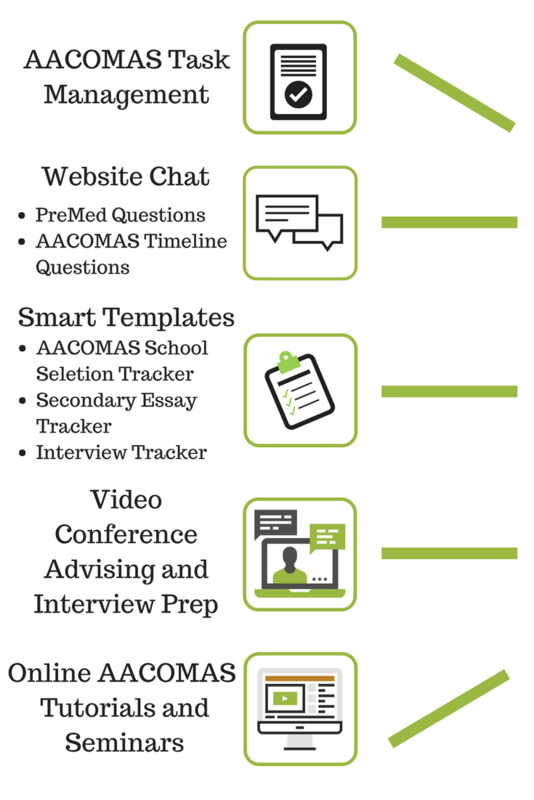 MedEdits’ seamless, effective, and efficient AACOMAS applicant workflow. We’re proud of our students. Use the map below to see where our osteopathic medical students have attended. Also visit our osteopathic medical school admission success page, click here. Do you plan to apply to medical school in one year or more? Learn about our long term pre-med packages. Not ready to commit to an osteopathic medical school admissions package? Consider having a Discovery Session. Need advice on the application process and want to learn how we can help? 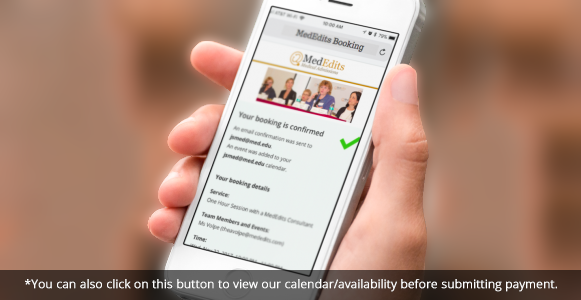 Sign up for a FREE 15 minute consultation..
What distinguishes MedEdits Osteopathic Medical School Admissions Services? We do more than just review your grammar. Our substantive editing process and extensive content suggestions will allow you to focus your personal statement to highlight your strengths and distinguishing experiences. Our document review process is truly unique and allows our clients to win interviews they might otherwise lose. 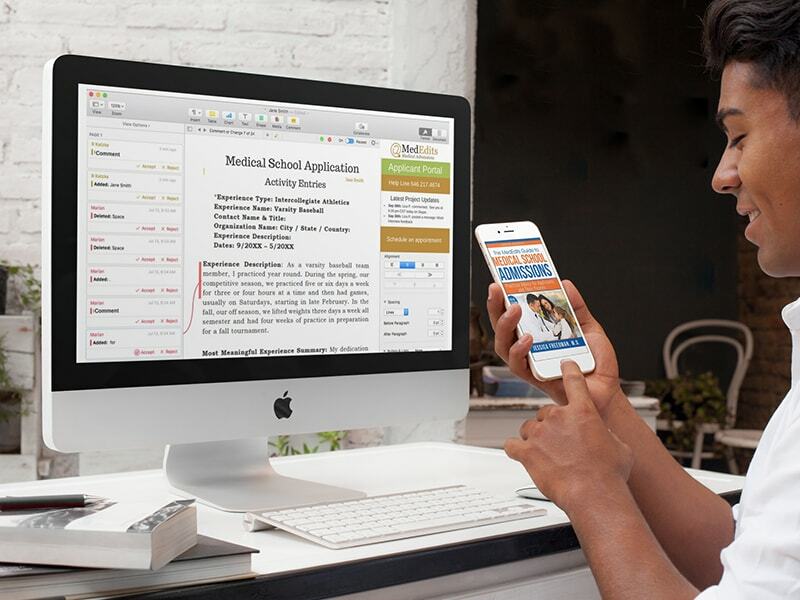 MedEdits is recognized as the nation’s leading medical admissions company for both allopathic and osteopathic medical school. Our reputation for excellence is based on our unmatched experience in academic medicine, record of success, and personalized service. We will work with you one-on-one to devise a personalized strategy that will optimize your success. Topics discussed include academic coursework, extracurricular involvement, letter writers, MCAT timing, and how to approach your Osteopathic (AACOMAS) admissions documents. Every document revision (AACOMAS personal statement and AACOMAS activity entries) is edited by an experienced professional editor whom Dr. Freedman has trained in the art of medical admissions. We will work with you to identify an osteopathic list of schools which will help you meet your goals. If you are waitlisted, it is important to communicate to your top-choice choice school effectively. We help you craft an effective letter of intent to improve your chance of being accepted at your #1 pick!